Rally racing is inherently a squirrely situation. So much so that danger lurks around every corner, maybe especially for the spectators, and certainly for the photographers. Volkswagen World Rally Championship driver Jari-Matti Latvala gave an accidental nudge to a cameraman Jan. 23 when he went off course during Stage 11 at the Monte Carlo Rally season opener. In an interview after the incident, the driving champion apologized for the mishap. “We came off the very slippery road after a right turn, skidded into a ditch and came out in a field,” he told Autosport.com. “My visibility was hampered briefly by thick steam from the engine and mud that had sprayed up from the ditch. Latvala rammed the front of his Polo R straight into the photographer, who was casually checking his camera settings on the sidelines at the time. Despite the accident, Latvala got back on track, having lost a couple of spots in the running order. The unfortunate collision took place during the longest stage of the event, which Latvala had started in second overall. World Rally Championship officials report that Latvala lost nearly two minutes as a result of damage from running off course, through a ditch and into the photographer. As a result, both Andreas Mikkelsen and Thierry Neuville surpassed him in the overall rankings during the stage. After some bad attempt to field fix the front-left suspension arm, a lack of a service facility put Latvala out of the rally for good. And now the two other Volkswagen Motorsport entries lead the way in the overall rankings after Stage 13, with Mikkelsen just behind defending champion Sébastien Ogier. It was not known whether the photographer sustained injury. 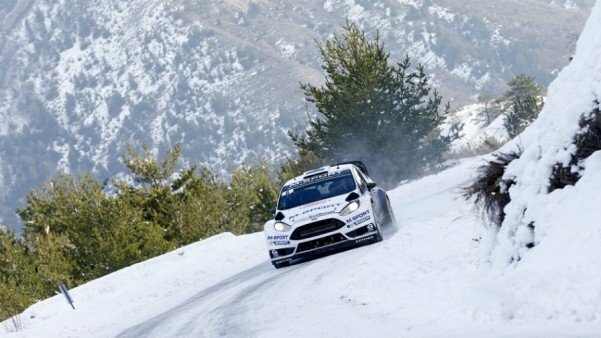 You can follow the action for yourself at WRC.com.